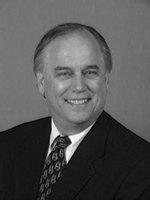 James P. (Pat) Carlisle is Principal and President of The de Bono Group LLC. He has been recognized by Dr. Edward de Bono for his extensive capabilities across the widely acclaimed de Bono ThinkingT methods. A leader in the field of de Bono ThinkingT, he has organized de Bono distributorships and trained trainers in Argentina, Brazil, Colombia, Mexico and Portugal, United States, and now in China. He has introduced these powerful thinking methods to many key companies including Microsoft, Motorola, Air Products, Coca-Cola, Bertelsmann, Trane, 3M, Unilever, and Dow-Corning among others. Mr. Carlisle has more than 5,000 hours of coaching experience with executive and organizational leaders. He is one of twelve certified creativity facilitators world-wide, He has a Bachelor of Arts degree from Auburn University and a Master's Degree from Emory University. He is presently completing a Ph.D in Organizational Transformation with the Adizes Graduate Institute. A block of rooms have been reserved for this conference. Hotel reservations must be made by Friday, November 7, 2008 to ensure availability. GGI's block of rooms will be released back to the hotel after this date. If you choose to stay at the Four Points Sheraton, be sure to mention "GGI's Summit" when you call to register so you will get the room discount. If you book your room at the Four Points Shertaon online, please also place a quick call to the hotel to assure your room discount. In the event your plans change after you register, GGI will refund your registration through end-of-business EDT Friday, November 7, 2008. Please note that a 5% credit processing fee will be deducted from your refund if you do choose to cancel.